Today, Writers of the Future Vol. 29 is #1 on the Amazon list of Best Sellers in Science Fiction Short Stories. A great voice that grabs you from the first line. A complicated mother-daughter relationship. And brains, the eating of. Gorgeous writing. Holidays can mean more than barbecue on the beach. What if there were a day that revealed everyone’s secrets? Or one that lets the dead come home? CSI meets Close Encounters of the Third Kind. A lonely pathologist examines a very unusual corpse. In the future, a police clerk archives the final twelve seconds in the lives of homicide victims. 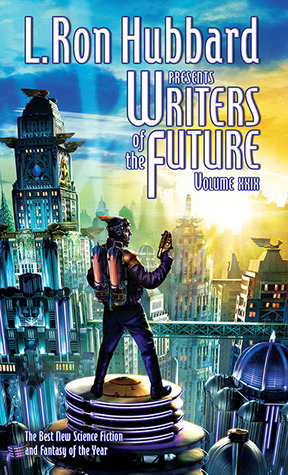 Categories: Writers of the Future | Tags: Fantasy, Science Fiction, Short Stories, Writers of the Future | Permalink.